The other night, my roommates and I went to go see Mockingjay Part 2 at midnight! This was a LONG awaited event for me, as I’ve been hooked ever since I heard of the first film, and read the books in the week The Hunger Games came out in UK cinemas. And now it’s finally come to an end! This will be spoiler free, as far as possible, I don’t want to give any plot points away. First of all, I am not a huge fan of the book Mockingjay. Whilst I like it, it’s definitely my least favourite of the trilogy. I was very worried for Mockingjay Part 1, as the first half of Mockingjay was, to me, the worst part of the series, however I absolutely LOVED it on screen, and it’s one of my favourite films in the franchise. I actually quite liked the rest of Mockingjay as a book, but I still think the first two beat it in terms of enjoyment. This may seem a strange thing to complain about, but movie soundtracks can make or break a film. Part 2 reused so many tracks from the older films, but didn’t get them quite right. I can’t remember exactly, but I know the track at the start of Catching Fire, when Katniss is in the woods, is used during a fast paced scene in the Capitol. That didn’t make much sense to me, and seemed a little lazy reusing old tracks in unfitting scenarios. Otherwise, I really like the music, but it reused too many old tracks, which kinda took you away from being immersed in the film. On the flip side, I loved that an instrumental version of ‘The Hanging Tree’ was played towards the start. This is a problem that can be traced back to the book. 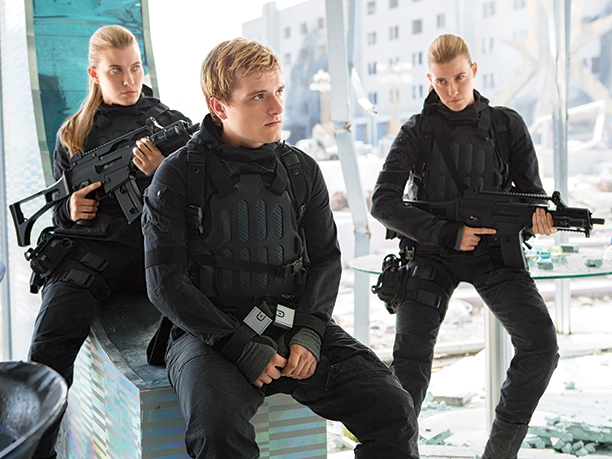 The pacing of Mockingjay was strange, especially when compared to the other two. The film however, didn’t fix this. At times when pacing should have been fast, it was slow, and at times where it should be slow, or rather, just a little slower, it was fast. Action scenes and tense scenes sometimes require it to be fast paced, but this can take away the impact of deaths. Which definitely happened here. The deaths in this film didn’t have the major impact they should have done, and seemed to just be given a second on screen before moving on. Maybe this isn’t necessarily a bad thing, it fits in with the severity of the rebellion, but it just didn’t feel like the way many characters deserved to go out. The books are limited by being stuck in Katniss’ perspective, when there’s a whole revolution going on, we are missing a huge chunk of what’s going on by seeing Panem through her eyes. This is a key issue in Mockingjay Part 2, in the last 35-45% of the film. I had hoped that the film would have utilised not being limited to Katniss’ perspective, and having the freedom to show what is going on anywhere, but instead it followed the book almost perfectly. You may think that may never normally be a bad point, and generally, I don’t think it is, but I wanted a more complete picture at the end. Not to have things have to be explained in monologues or be pieced together by characters, rather than simply being shown on screen when that option is available. I should also note, I don’t really like the ending of the series. It wasn’t what I would have chosen, nor do I truly think it fits with what the entire saga is about. However, this is an issue with the book, and I know to many people, this is the perfect ending, so were probably thrilled to see it play out on screen. To avoid spoilers, I won’t give any context to the scene, but wow did the film get this right. It went above and beyond what could be taken from the book, and somehow made this entire scene better than could ever be imagined. The sewers scene was destined to be on screen, and an amazing job was done with it. This was definitely my favourite part of the movie! You know it’s good when you’ve read the book and know what is going to happen, but you still find yourself questioning what the hell is going on and what the outcome will be. The nail was hit perfectly on the head, I’m unsure a better job could have been done with this. Every other action scene in the film was incredible. The CGI was pretty great, even though I’m not huge on CGI, the choreography was good, and everything felt realistic, even in this crazy dystopian world. 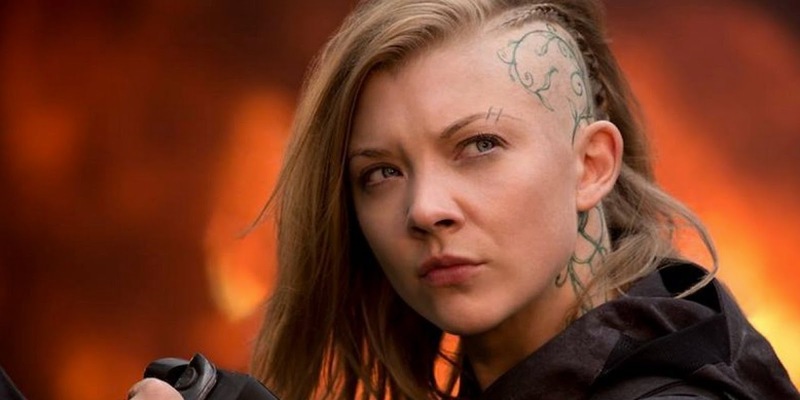 When reading the book, I didn’t care so much for Cressida, one of the few rebels who originates from the Capitol, however the film series made me care about her a lot more. Yes, I’m bias because Natalie Dormer plays her, but even so, she became one of my favourite things about Part 2. I’m desperate to know more about the Capitol rebels, at what point did they begin to hate the Capitol? How did they find each other? How did they escape and make it all the way to 13? How much danger were they in? Were 13 reluctant to take them in incase they were spies? 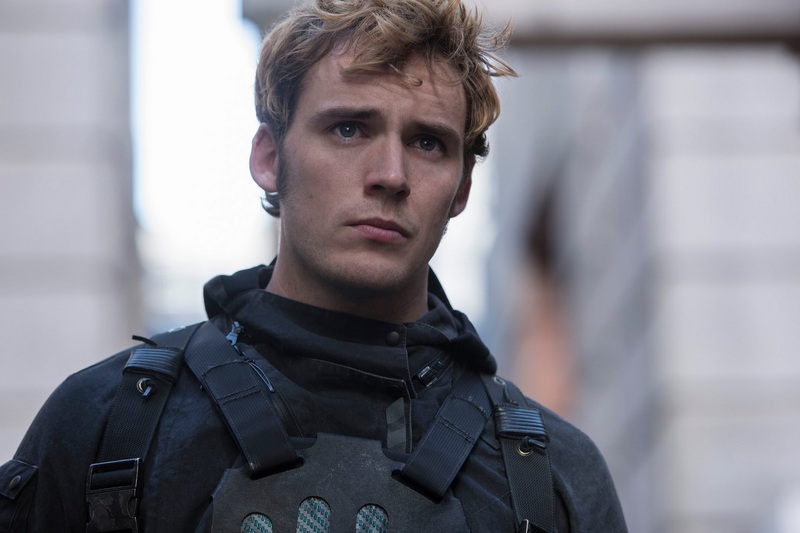 I’m glad the film made a point to include the Capitol rebels as wanted fugitives on the level of Katniss, Finnick, and other characters associated with the rebellion. 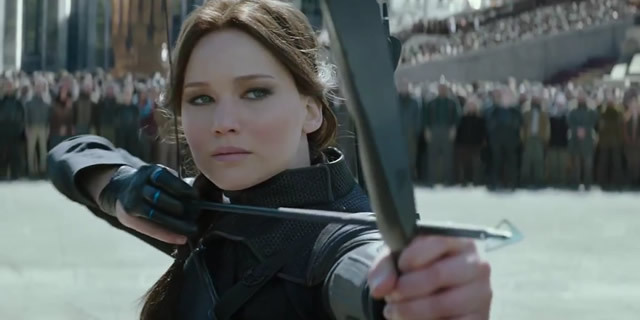 Nor did I truly care for Coin in the books, I always felt like my view of her was being warped by Katniss’ view. The films gave me the opportunity to build my own perspective and opinions of her. Paylor was a character not given much time in the books, and the films made me seriously root for Commander Paylor, and want to see more of her. She was brought to life on film much more vividly than she was on page. 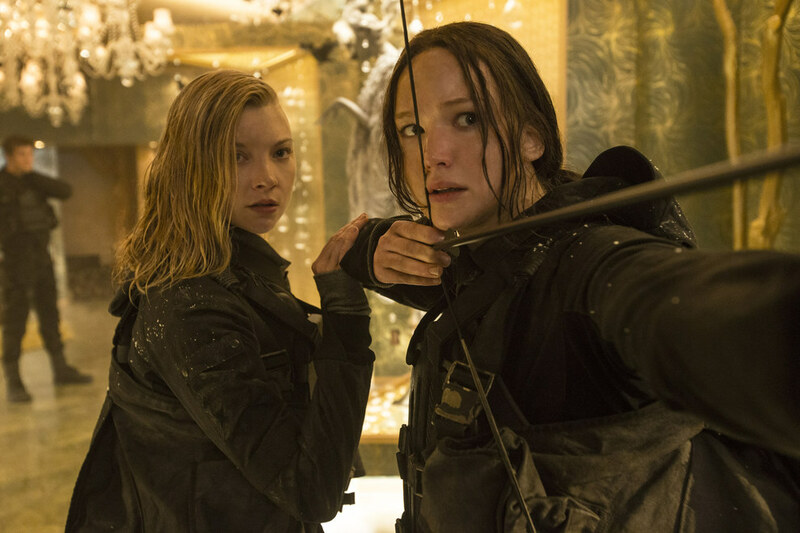 Whilst I did appreciate the scenes in the book, which would have been towards the start of Part 2, featuring Katniss and Johanna, and the bond they form, it made sense to cut them out for the substantive part of the movie. Furthermore, streamlining the District 2 plotline gave more time for the main ‘chunk of the film’. I loved the scenes in the Capitol, with Snow and others, who we were never able to see through Katniss’ perspective. Seeing the way the Capitol reacts to the rebellion growing stronger and stronger, until it is on their doorstop was fascinating. I would have liked a few more scenes from Capitol citizens, but we still were given enough, not every wish can be granted in a two hour movie! Overall, this was a good ending to a great saga. 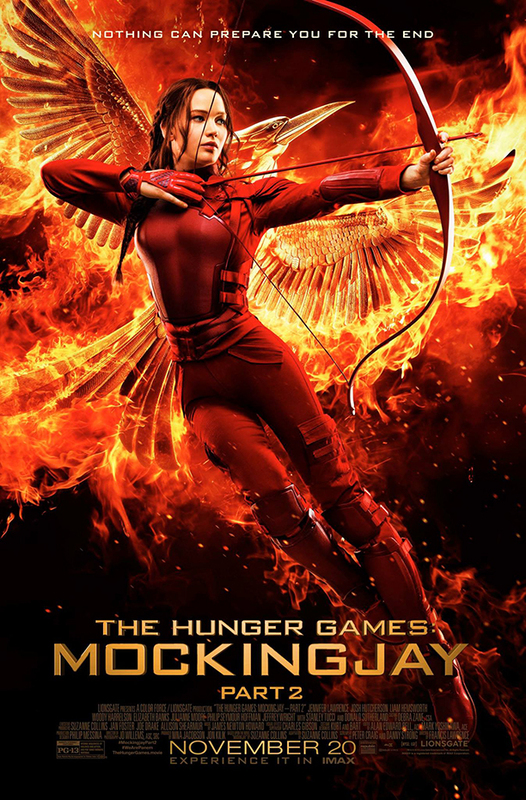 Sadly, I think out of the latter 3 films in the saga, all directed by Francis Lawrence, this was the weakest. This is no way means it isn’t a good film, I would still give it a 7/10, but it fails to reach the heights the saga has previously hit. I hope you enjoy the movie if you see it, and Happy Hunger Games!